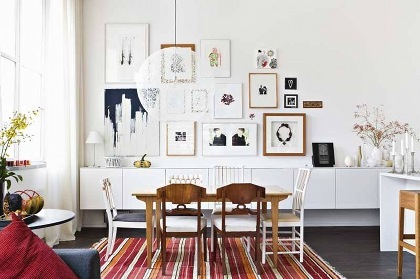 I saw this Scandinavian home featured on Design is Mine today and fell in love. Doesn't this space look refreshing to live in? oh how i adore too! Wow! I have visions of Scandinavian inspired rooms for my babies when it's time for them to come! :) I might have to get in touch with you in a few years to get your inspiration! Yes this is a beautiful home. I like the simplicity of scandanvian design. It seems like they make their homes places to live instead of an over designed showroom. It looks like a lovely place to call home. Tiffany, that sounds like a plan! Melissa, I agree that it looks like a real and inviting living space instead of a monotonous showroom. So simple and sweet.